​Dead Letter Circus have announced they will be hitting the road this August for a 11-date national tour in support of their brand new single, The Burning Number. 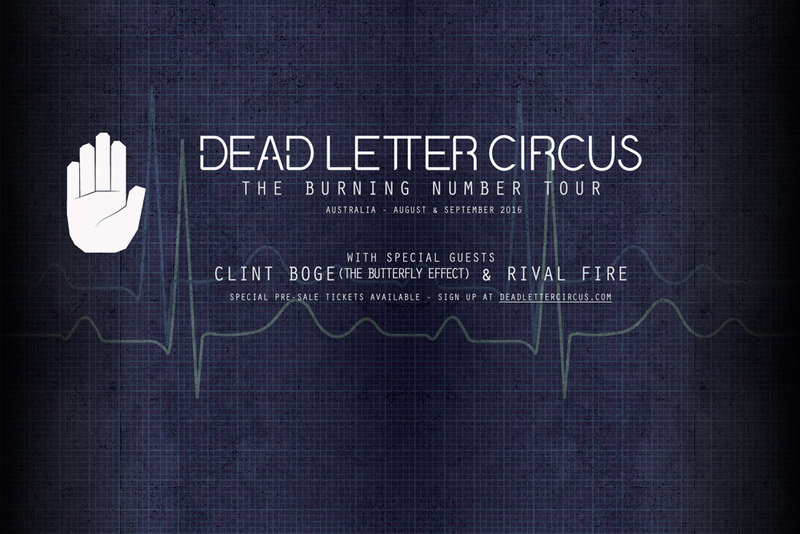 Joining Dead Letter Circus will be Clint Boge (The Butterfly Effect) and Rival Fire. The Burning Number is the latest single lifted from Dead Letter Circus’ hugely successful third album Aesthesis. Released in August last year, Aesthesis was brought to life by the band with the help of Matt Bartlem (Jarryd James, Matt Corby) and Forrester Savell (Helmet, The Occupants) and mixed by multiple Grammy Award winner Chris Lord-Alge. (Muse, Deftones, Green Day, Slipknot, My Chemical Romance). Upon its release, Aesthesis debuted at #2 on the ARIA Chart, scored the coveted triple j Feature Album and an ARIA nomination for best Best Rock Album. Those keen to get an insight behind the creative process of behind one of Australia’s most accomplished and celebrated rock acts can check out the official Aesthesis documentary here. Tickets on sale 9am Thursday 26th May. Fans who have signed up to the Dead Letter Circus mailing list will have access to an exclusive 24-hour pre-sale. Those who purchase tickets during the presale will also receive a free download of an acoustic version of While You Wait as well as Rival Fire’s new single Riot.